TAG Heuer’s luxury sport watch line is well respected in the high stakes world of racing, for their accuracy. This is a tough crowd, who demand perfection. There is little to no room for error in timing a racing event, and that’s where TAG Heuer’s perfection shines. In May of 2010, TAG announced that Formula One driver, Karun Chandhok of India would join their illustrious group of Ambassadors. This newest edition of brand Ambassador will make his initial appearance on May 19th, at the TAG Heuer 150 year anniversary event. The celebration will be held in New Delhi, India and is sure to create a stir. An intense dedication to excellence is a TAG Heuer trait, and that characteristic is modeled in Chandhok. The driver joins the Formula One racing team at the tender age of 26, accomplishing something most drivers dream of, but few ever achieve. 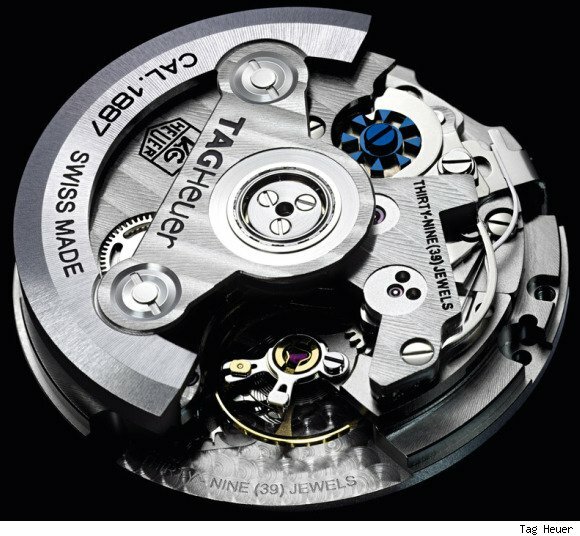 The TAG Heuer name has a long standing reputation of quality performance, and commitment to value. They continue to recognize talented individuals in the sports world, and align themselves with them. This partnership seem to be the perfect fit, not unlike the other Formula One Ambassadors; Jenson Button, Lewis Hamilton, Ayrton Senna, and Alain Prost. TAG Heuer, expect the very best. For how long have we been hearing about the upcoming 150th TAG Heuer anniversary? For a long time is the answer. To celebrate this event, TAG has been making all kinds of publicity noise to draw attention to its watches. One of the big, recent claims to fame is the long awaited and super complicated new movement “developed” by TAG called the Calibre 1887. 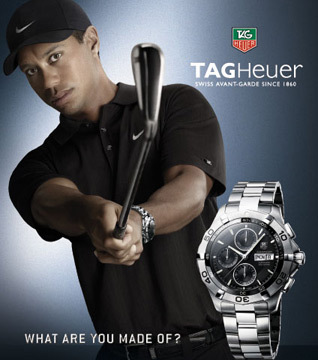 Well, just as Tiger Woods (Ambassador of TAG watches) got busted, now TAG is busted also. Turns out the new automatic Calibre 1887 is not their creation, but that of Seiko and TAG simply gave it a cosmetic “face lift.” Seiko designed this caliber ten years ago, called the Seiko 6S37. Apparently there was a behind the doors agreement with Seiko that no one knew about, so that legally TAG covered its tracks, but in terms of publicity, this is all pretty much a lie. And thanks to the Internet community, you now know about it also. Word spreads fast on the Web and this can certainly be good or bad. Serious watch lovers noticed the similarities between the two calibers and brought word to the forefront; TAG CEO Jean-Christophe Babin himself had the face the music and went online to say that his company had made a “mistake” and had actually “adopted” the movement from Seiko. Perhaps the only winner here is Tiger Woods who has a good case now to petition TAG for keeping him on as an Ambassador, as they’re both accused of wrong doing and lying to the public. For those who are fans of TAG watches get ready because the long awaited TAG Heuer Monaco V4 watch is coming … in November 2009. TAG is timing the release of this watch to coincide with the company’s 150 year anniversary. The Monaco V4 will be the world’s first mechanical watch with a “belt-driven movement and linear winding mass.” This watch, which will be produced in a very limited edition of only 150 pieces, has been in the making for five years. It’s taken this long for the concept to become a functioning reality. No watch company has ever yet to do what TAG does with the Monaco V4, which is a complete replacement of the usual gears and pinions used in mechanical movements, and replacing them with belt drives and ball bearings. The winding system too has seen a total make-over, replacing the typical centralized circular rotor with a linear winding mass. The Monaco V4 brings new technical and design elements to the forefront of watchmaking. TAG Heuer employed 3D design experts, automotive engineers, chemists, mathematicians and others in the development process and while doing so, received two global patents for the Monaco V4. To give you an idea of how complex the inner workings of this watch are, take the belts used in the movement; each belt, of which there are five, are about as big as a human hair, making the integration of them seemingly impossible. These watches, all of which are cased in platinum, take their name from the shape of the movement’s central plate, which is similar to the cylinders in a car. 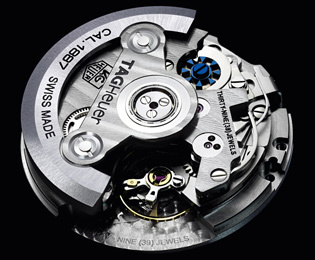 To highlight this amazing new movement, TAG created an equally cool and innovative case that measures 40.5mm. Each of these 150 limited edition Monaco V4 watches are assembled by genius TAG Heuer watchmaker Denis Badin. 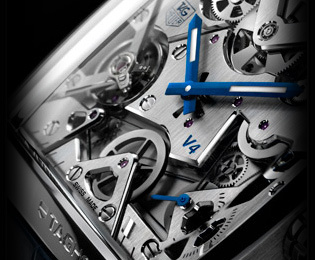 According to TAG Heuer, the Monaco V4 will retail for the princely sum of about $97,614.56.